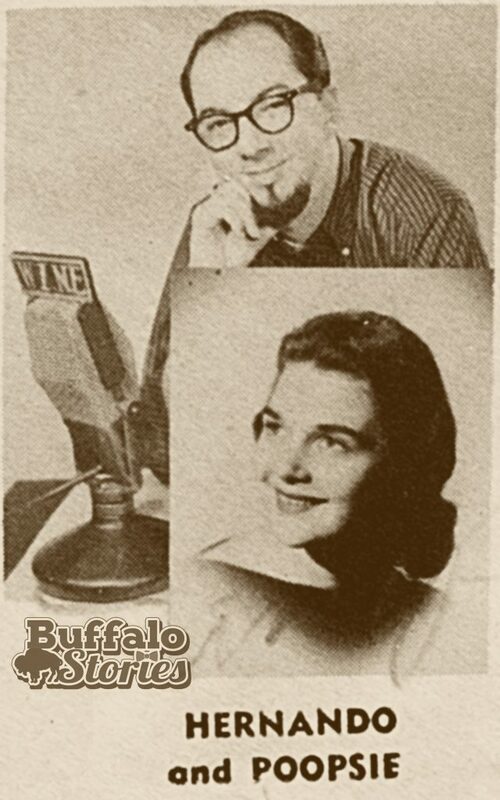 Here’s a complete round up of our week long look at some of the iconic and pioneering women of Buffalo Broadcasting. 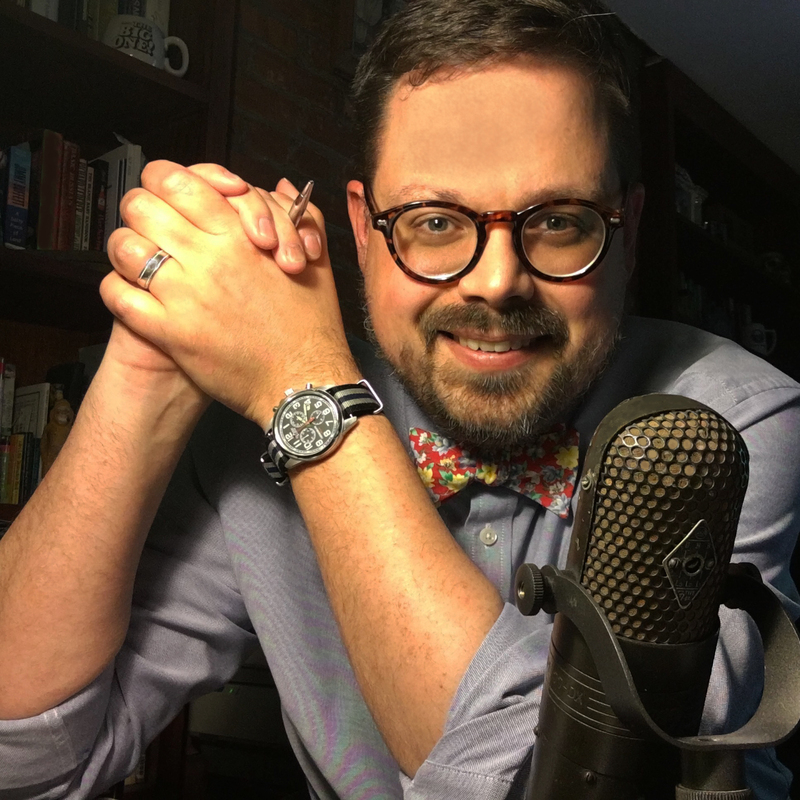 You can listen to all the stories here, and scroll down the page for stories, images, and links to more. 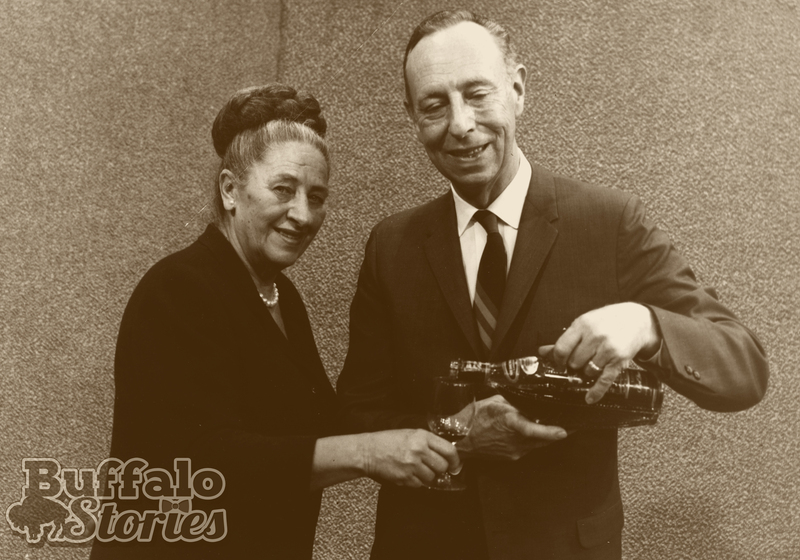 In the earliest days of radio in Buffalo, it was unusual to hear a female voice that wasn’t singing. Reggie and Billy Keaton, WGR and WEBR. “Amanda,” whose real name was Dorothy Shank, hosted a show on WEBR, sponsored by AM&A’s. World War II changed things briefly, but not a lot. 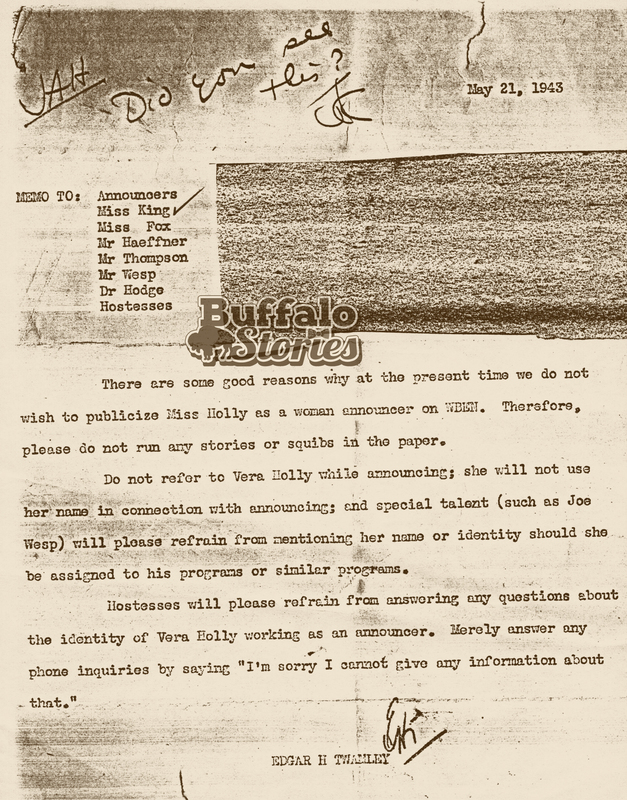 A memo from the executive offices at The Buffalo Evening News warned it’s radio broadcasters to NOT mention the name of a new female announcer– that despite the fact that Vera Holly was a very popular singer on the station for a decade. 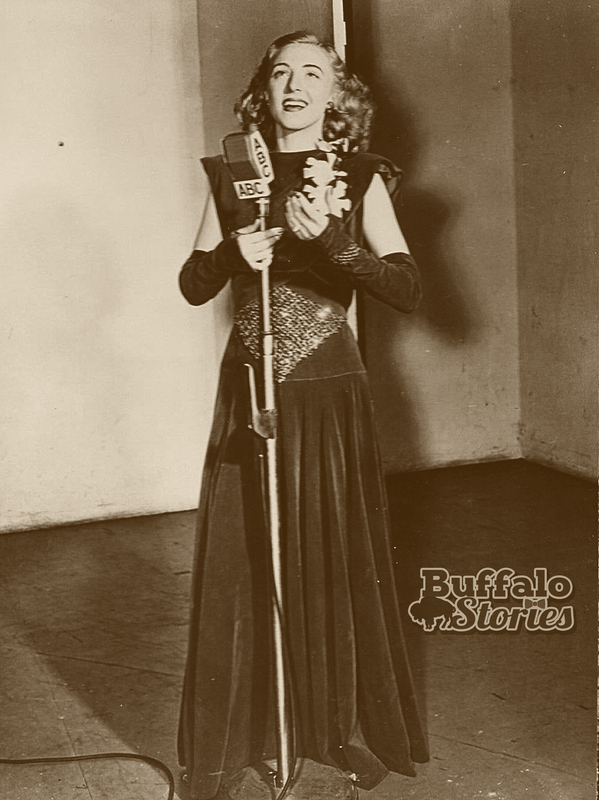 Vera Holly was a singer, emcee, and announcer on WBEN in the 1930s and 1940s. 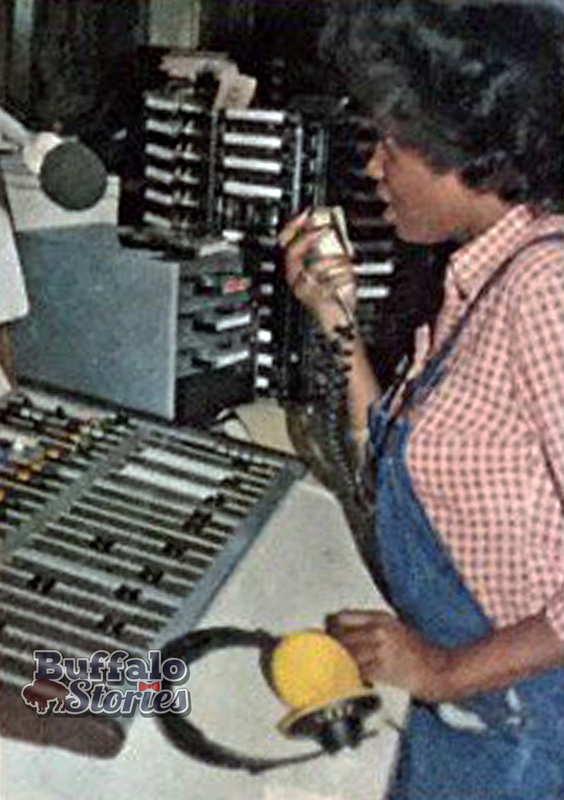 She had been a long-time regular on WBEN’s “International House Party” and had received top billing on the show, but wasn’t allowed to identify herself for the nearly six months she was reading station breaks and newscasts on WBEN. A CBS gig on “The Jerry Lester Show” landed her in front of the same microphone as the biggest star of 1943– Frank Sinatra. When she was picked up for a network show in 1946, she was called “one of the most promising young stars of radio. Holly went on to announce her own network programs on Mutual, CBS, and ABC. Even as late as the 70s, women disc jockeys were an oddity. A disc jockey known on the air only as “Beverly” was WKBW Radio’s first woman disc jockey, hosting overnights in the mid-70s. As Beverly Burke, she went on to replace Oprah Winfrey in a local TV news anchoring job in Baltimore. She’s also anchored TV news in Washington and Los Angeles. We’re looking at the women who were the first to make their presence felt in what has traditionally been the male-dominated broadcasting industry. 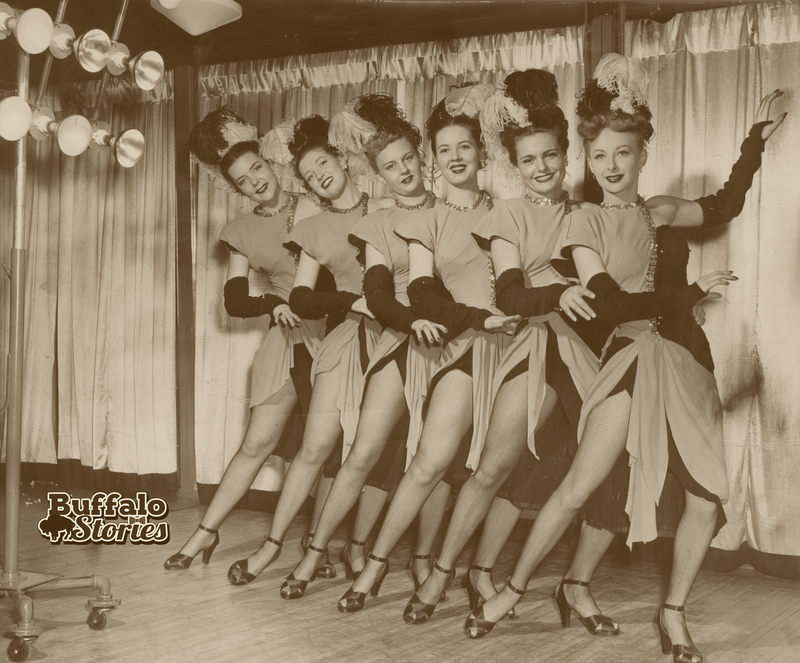 Television came to Buffalo with Channel 4 in 1948, and the only women prominently featured in the ceremonial sign on of the station were the chorus girls from the Town Casino. The Town Casino chorus girls were the only women featured on Channel 4’s sign-on in 1948. 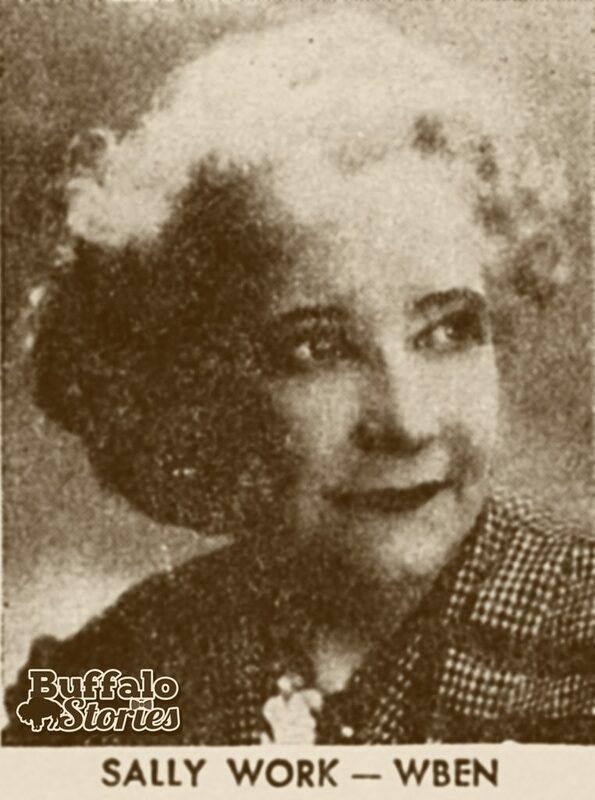 Some of the pioneering women in Buffalo TV were the same women who pioneered in Buffalo radio. 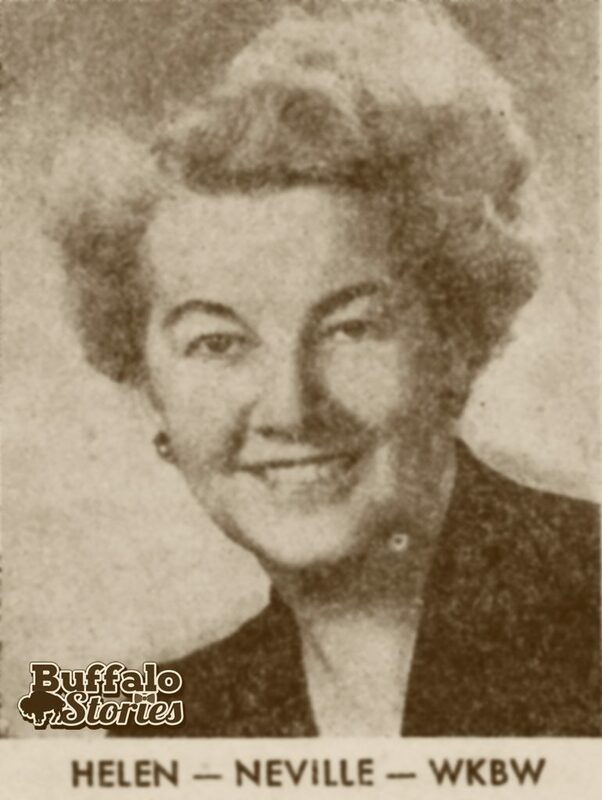 Sally Work was called “the dean of women commentators” by the Buffalo Evening News. She’d already been on the radio for 15 years by the time she took her act to the new medium of TV. When Channel 2 signed on, Helen Neville took her radio act to TV as well. 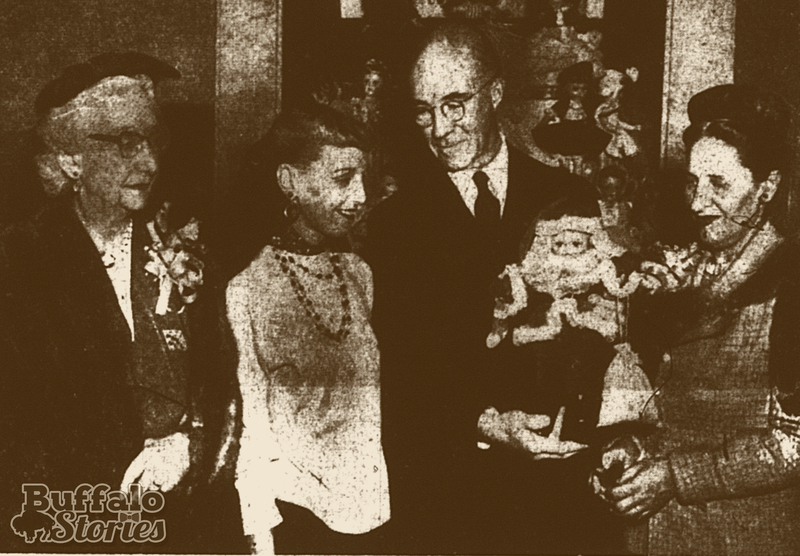 Sally Work, left, and Mildred Miller, right, judge a doll contest in 1954. Of course, there were those who made their first mark in TV as well. Starting in 1952, a beloved and strong woman made her debut on Channel 4. 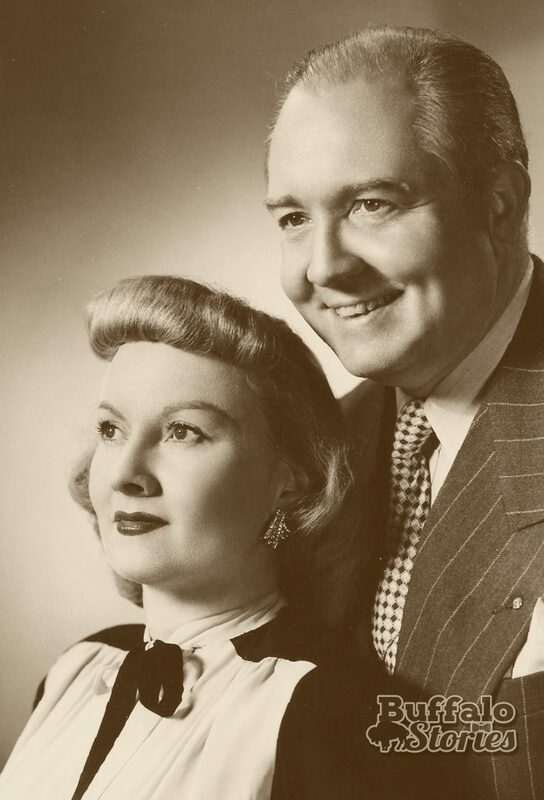 Viewers watched Mildred Miller and her husband Bill cook and interview celebrities for 20 years on “Meet the Millers. Doris Jones was first seen as a commercial model on Channel 4 when she was still in high school. 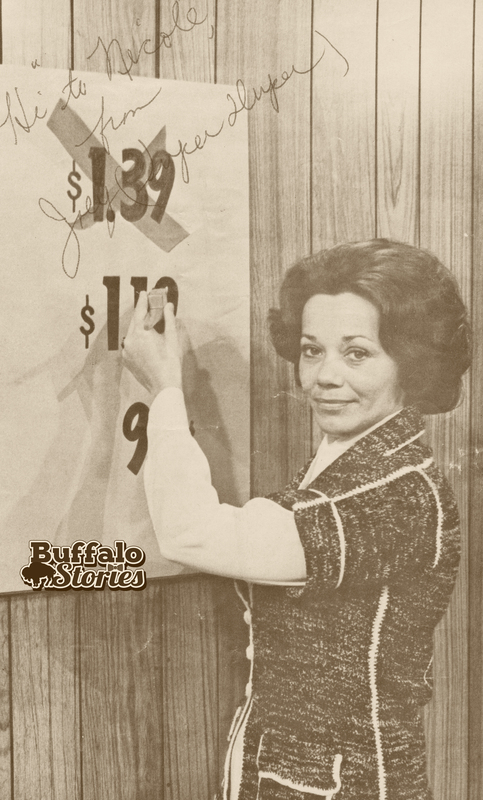 She’d eventually host a women’s show on Channel 7, and become Buffalo’s first female staff announcer and weathercaster on Channel 2. 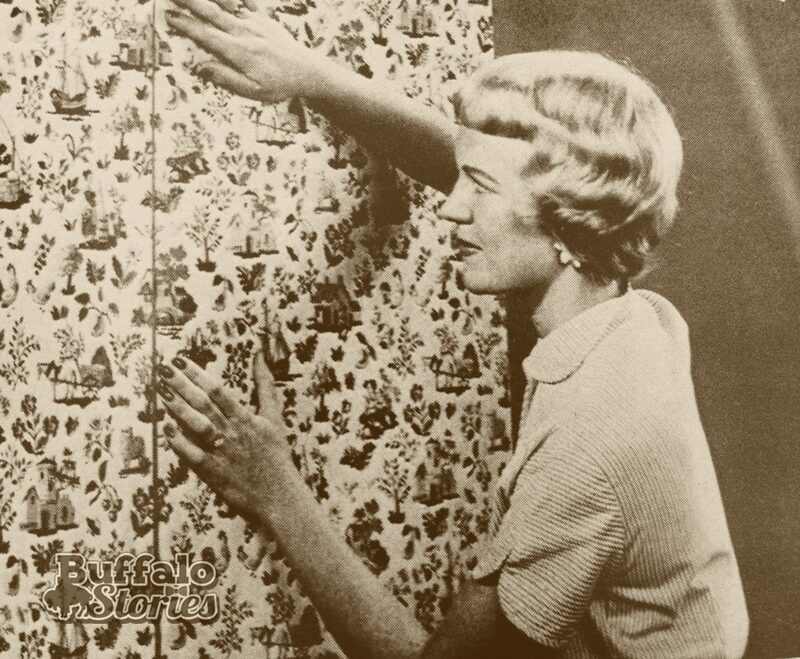 Doris Jones showing how easy it is to hang Birge wallpaper, mid-1950s. 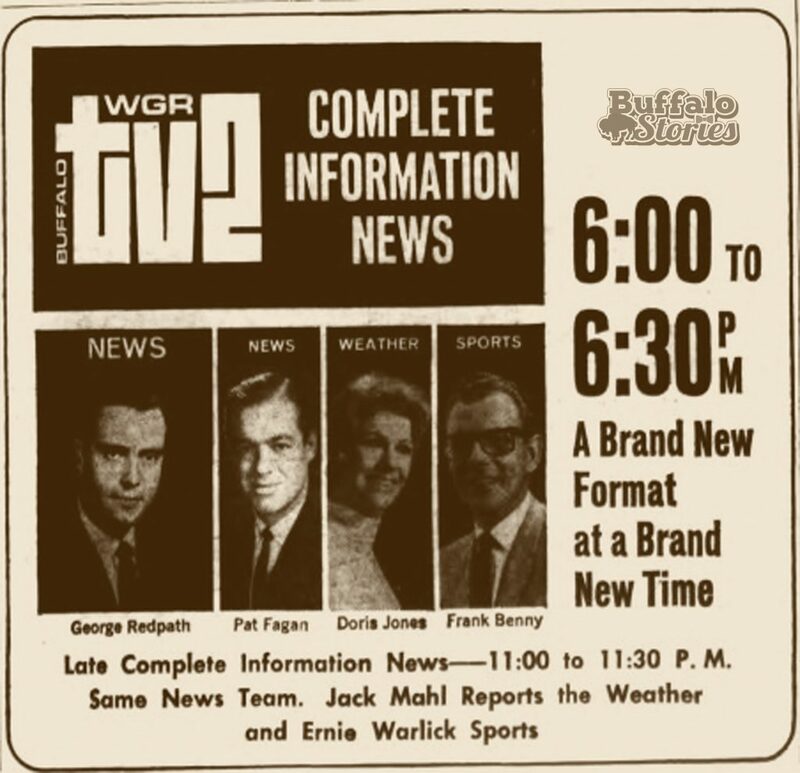 Dors Jones was the full-time, regular weather anchor on WGR-TV Channel 2 when this ad ran in 1968. 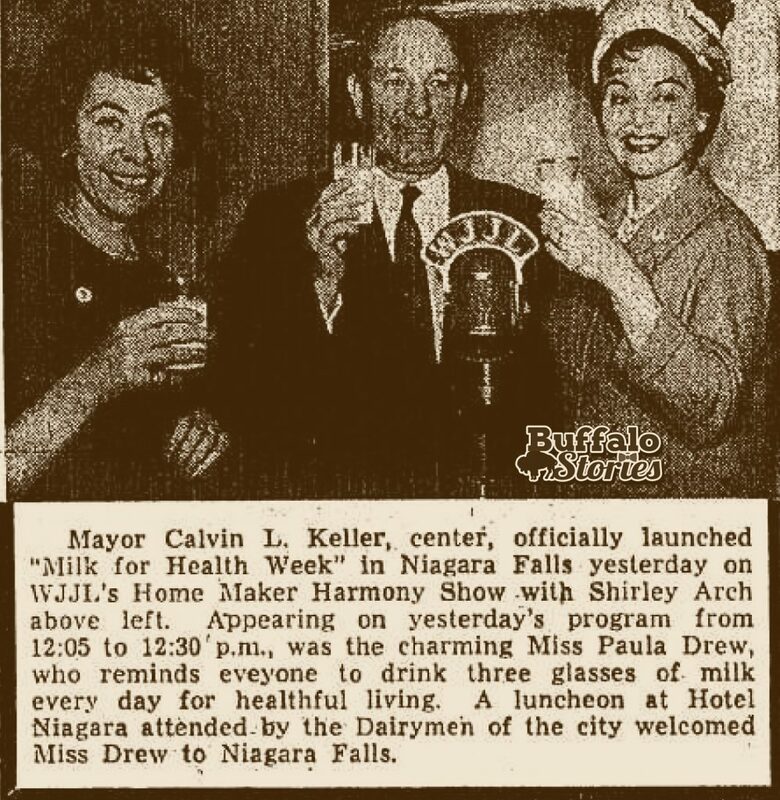 Paula Drew was the spokesperson for Niagara Frontier’s dairy farmers, and as Buffalo’s milk maid, she did weather forecasts wrapped around milk commercials. She was later the voice of Tops Friendly Markets. Both Paula Drew images, including this one in front of a WJJL microphone, are from 1959. While Paula Drew was at Tops, it was Joey at Super Duper in the 70s and 80s. 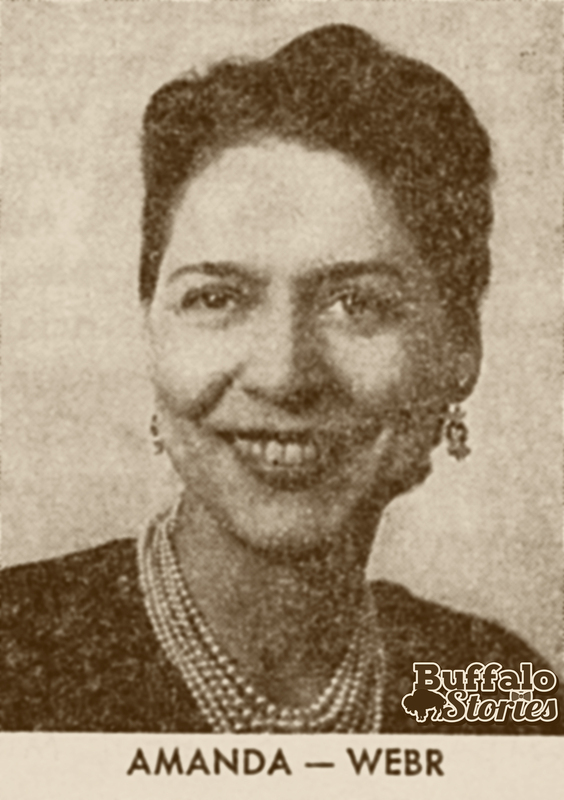 Our week long look at the women who had pioneering roles in Buffalo radio and TV continues, with a look at the first women of television news in Buffalo. 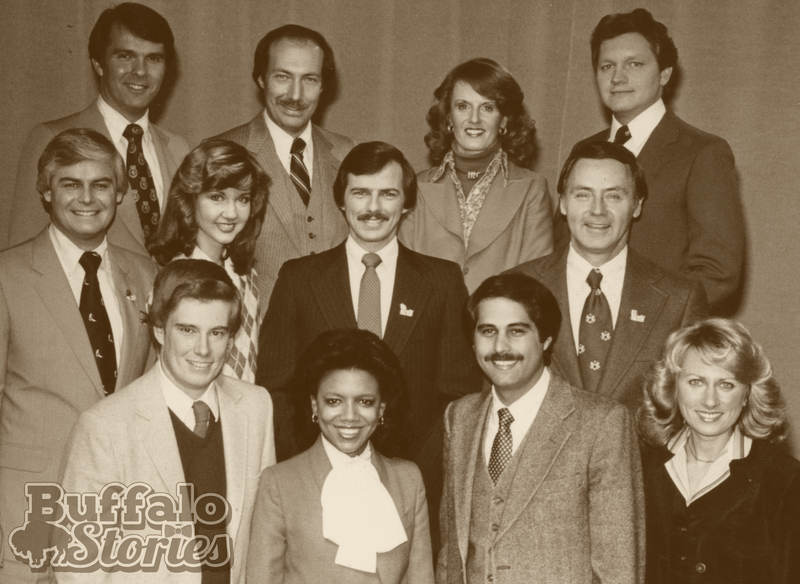 From the earliest days, there were relatively few women on Buffalo TV– and even fewer in what we’d now consider journalism roles. 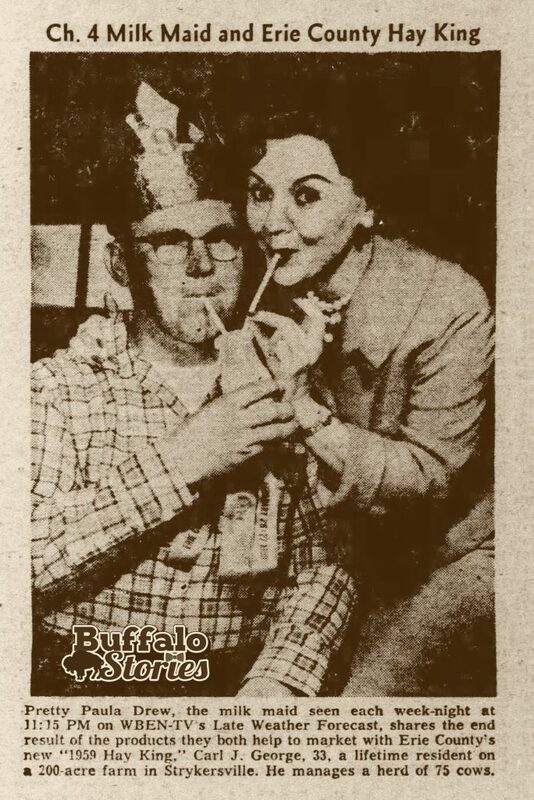 In 1962, the Courier-Express reported that WKBW Radio publicist Joan Marshall was about to become Buffalo’s first “lady newscaster” on TV. Doris Jones did the weather on Channel 2. 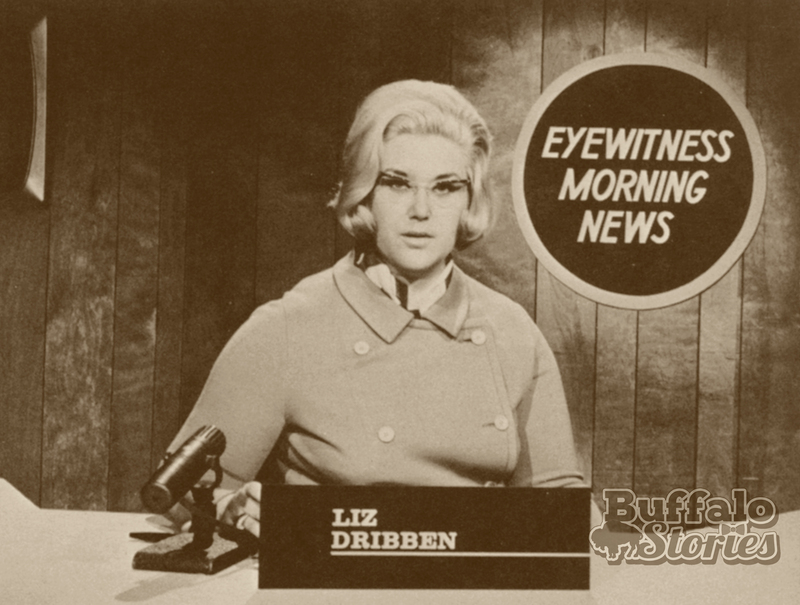 The first stand-out woman on the air with real news chops was the late Liz Dribben on Channel 7. She’d anchor morning newscasts before co-hosting Dialing for Dollars with Nolan Johannes. 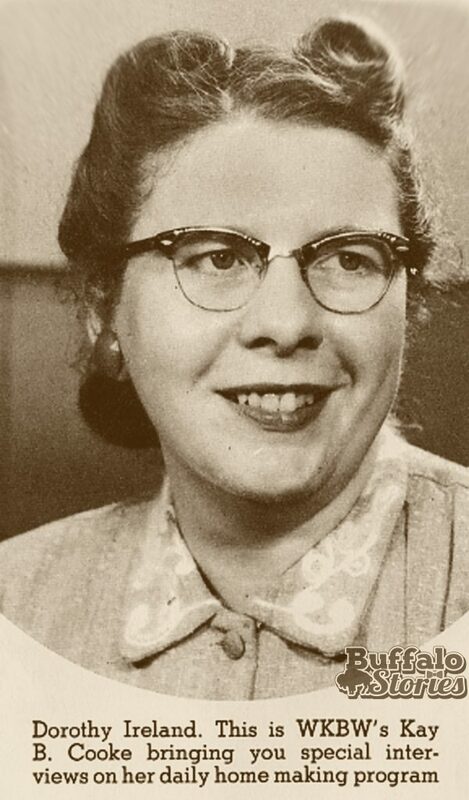 She left Buffalo and became a CBS News writer and producer, working with Mike Wallace and Walter Cronkite among others. 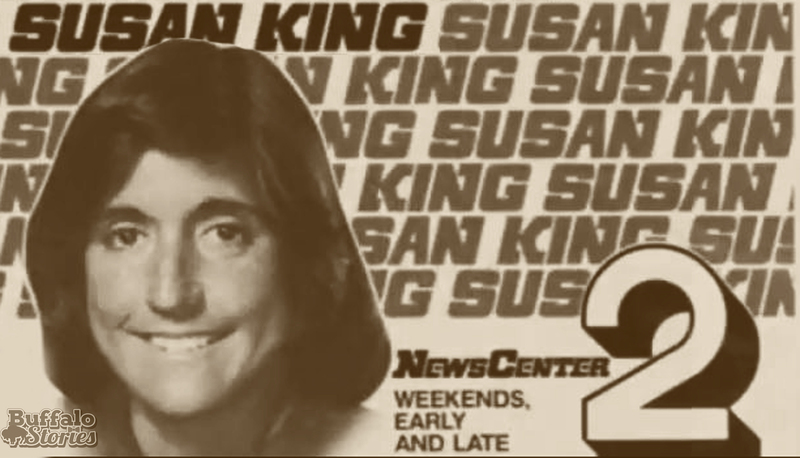 Susan King, WGR-TV 2. She was the lead anchor on the 6 and 11 newscasts on Channel 2 for several months after Ron Hunter left but before Rich Kellman was hired. 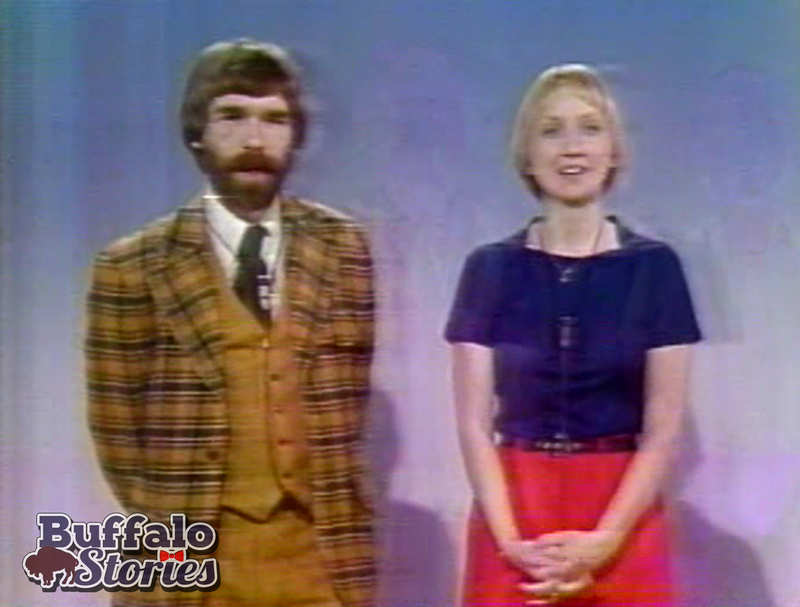 Channel 2’s Susan King was Buffalo’s first full-time woman journalist on TV when she joined the Ron Hunter Report in 1972. She anchored the 6 o’clock news after Hunter left, and before Rich Kellman arrived. She’s now the dean of the UNC School of Journalism. When King moved on from Buffalo, she was followed by Shelia Murphy at Channel 2, who co-anchored with Kellman before moving onto politics. Carol Crissey (later Jasen) broke the 31 year streak of men on the Channel 4 anchor desk when she anchored with John Beard and then Bob Koop. Carol joined Marie Rice who had started at 4 two years earlier as a tough street-reporting journalist at Channel 4. Carol Jasen was at WIVB for 23 years, Marie Rice 27 years. 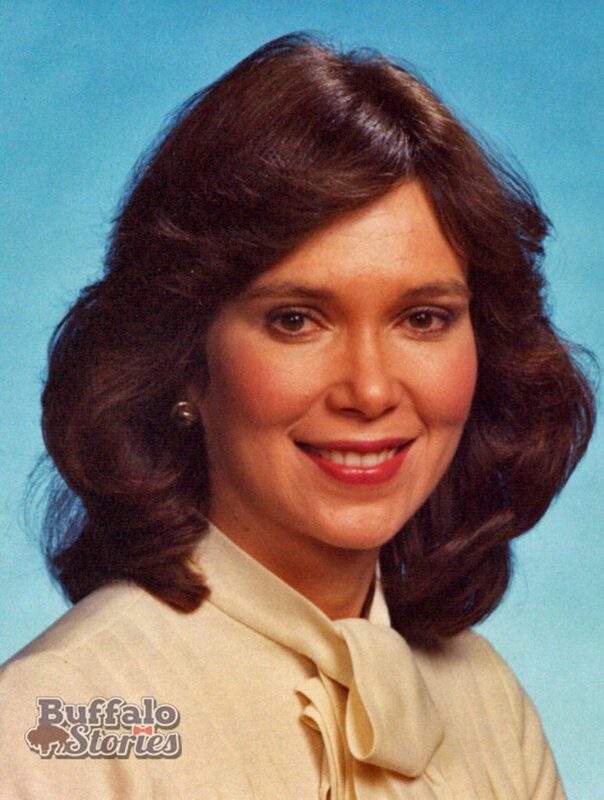 Susan Banks began her Buffalo career on Eyewitness News in 1977. She’d go on to anchor at Channel 2 and Channel 7 before retiring from TV news 29 years later. 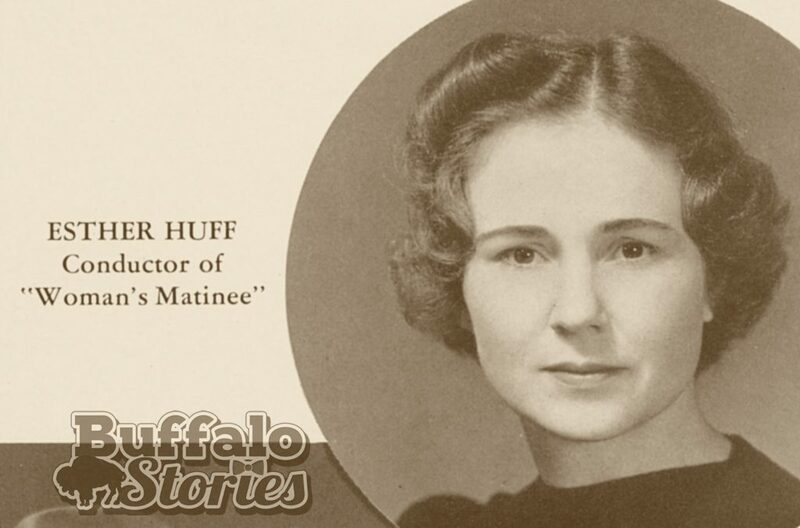 This week we’ve been looking at many of the iconic women of Buffalo’s Broadcasting history, and today we’re looking at a few who are still here and still broadcasting. 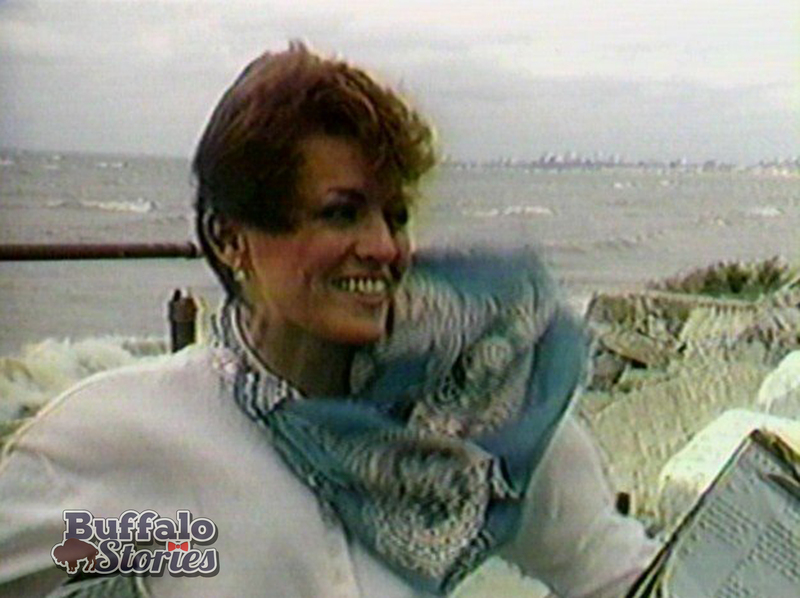 The world of television news is a transient one, and when we look at the women who’ve been on Buffalo TVs since the 1980s are only a few names to mention. 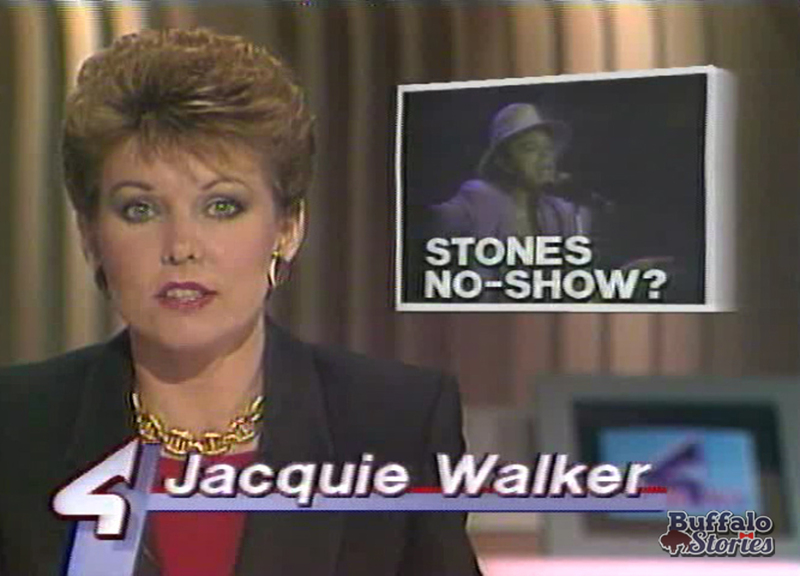 Jacquie Walker has been anchoring newscasts on Channel 4 longer than anyone else ever has at a single station in Buffalo– 35 years at WIVB. 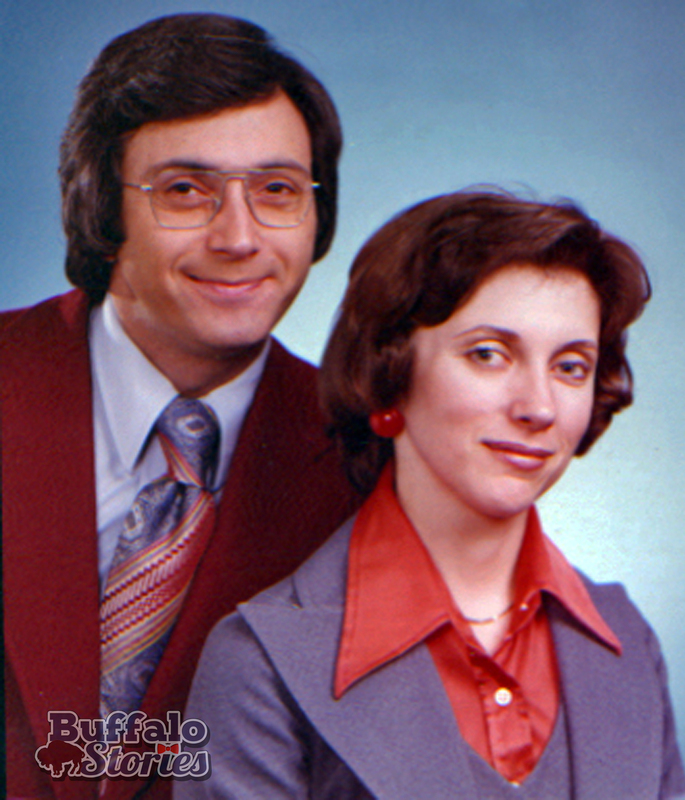 Linda Pellegrino has been at Channel 7 since the 80’s, too, first with the weather outside and then on AM Buffalo since 1990. Maria Genero started her TV career at Channel 4 in the mid-80s before heading to Miami, LA and New York. She came back to Buffalo at Channel 7 in 2001, and has been at Channel 2 since 2006. Maria Genero, Rich Newberg, Brian Blessing. WIVB, mid 80s. Coming to our TV screens has made other Western New York women iconic as well. Goldie Gardner spent 32 years asking kids to bring their parents to the TV during Sesame Street membership drives on Channel 17. Bill Devine and Goldie Gardner asking for your membership support of your favorite programs. Terry Licata-Braunstein’s name might not register immediately, but you know her walk. The memory of her style long outlasted the TV campaign. MORE: Buffalo in the 80s: Talking Proud!